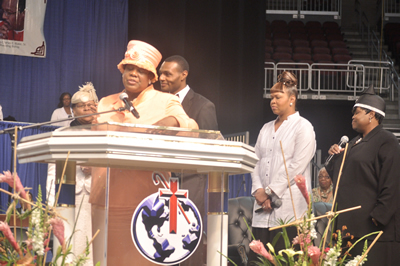 Breaking News: Please Share your Testimony of a miracle, and or victory from last week’s Convention. A Prayer Request: Please pray for my 14 year old niece who was physically abused by her boyfriend.! A Prayer Request: Please pray for the salvation of my five nephews and their children; deliverance of my nephew from prison for a crime he did not commit; pray for favor during his upcoming court preceedings; restoration of Holy Ghost to my mother, brother and sister…that we all become effective, anointed instruments for God's glory. Prayer Request: Glenda McKee and family of Edmond Oklahoma. A Prayer Request: Pray for the saturation of the spirit in our lives, church, and community. I believe God WILL keep his promises and hear our cries. May God continue to bless Evangelist Francis Kelley and the prayer warriors.